An import file Datasource is used to describe the format of CSV files the user can import. When you create an import file Datasource, the Datasource collects the data from an InterPlay database table that stores Objects or Elements properties. An import file Datasource can access any table that stores Objects or Elements. When you create an internal Datasource, you define a standard Object Type that you declare in the import file Datasource. When a Datasource is added to an Importer, the structure defined is used to check the structure of the file to import. The structure of the Datasource object is defined as follows. On the Details tab, select the Import File as Datasource type then enter Object Type and Element path. See Specify Datasource details. On the Column tab, add the Table columns that you want to have in the file you import. 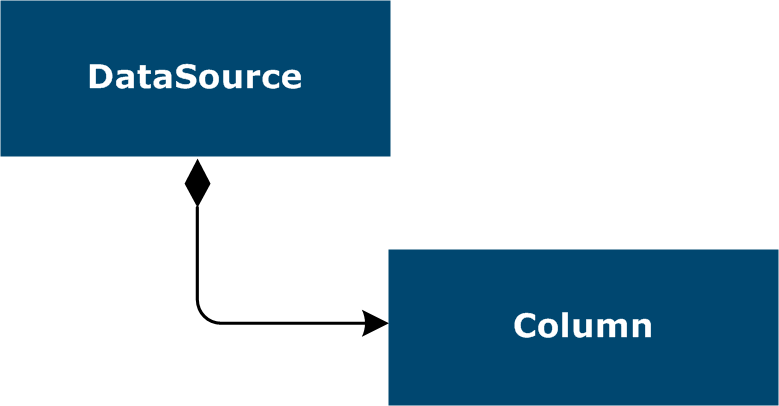 See Specify Datasource columns.